In the 918 Spyder, Porsche is launching the future of the sportscar: As the first vehicle to boast global road homologation, the model beat the record of seven minutes set for a lap of the Nürburgring Nordschleife, achieving a time of 6:57 minutes. 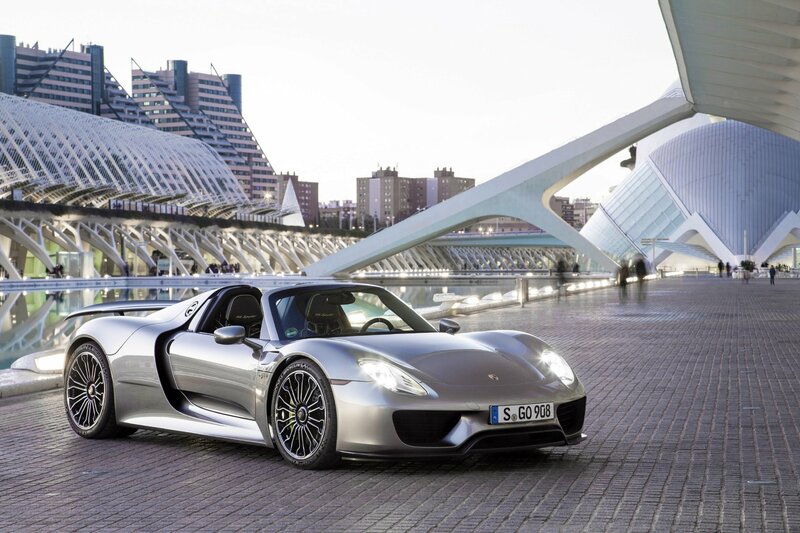 What's more, the 918 Spyder can glide through the city without releasing any emissions, and virtually without a sound. 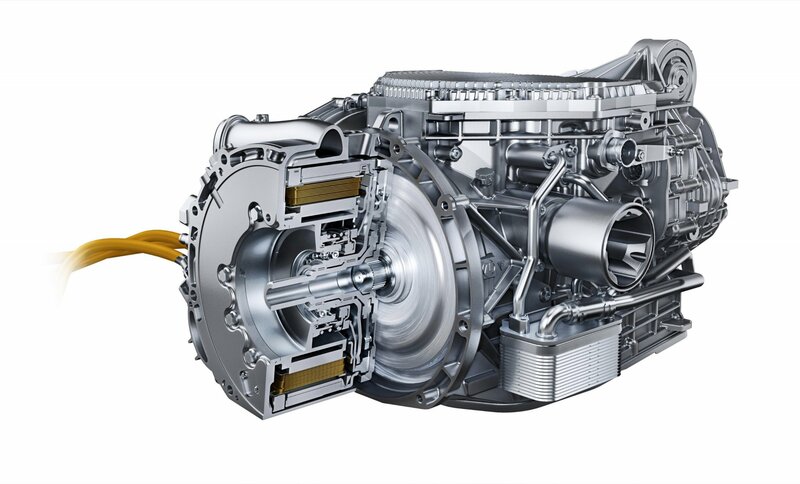 The maximum level of performance delivered by the vehicle, namely through its system output of 887 hp and minimal consumption figure of three litres per 100 kilometres (NEDC), is the result of a unique plug-in hybrid concept. 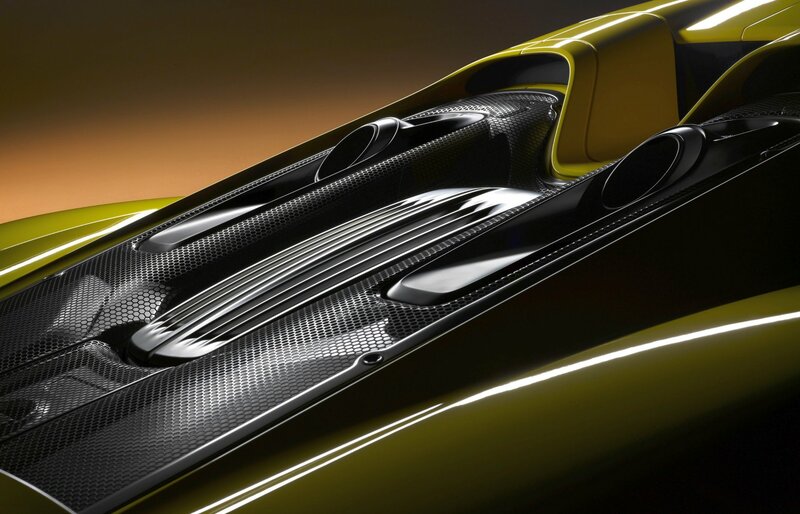 To meet the driver's requirements, the 918 Spyder exhausts all possibilities offered by the combined drive of combustion engine and electric motor. 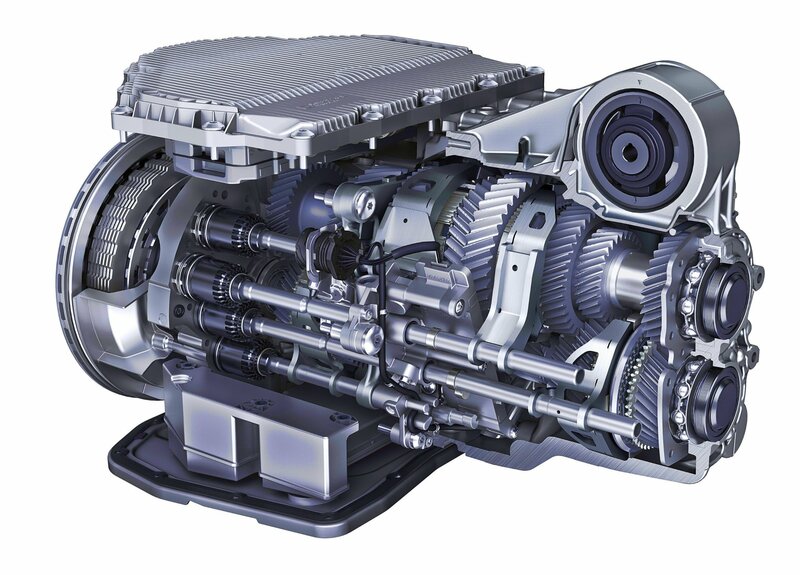 Porsche hybrid drive technology offers efficiency and uncompromising dynamic performance in equal measure. Porsche had already taken on this pioneering role in the development of plug-in hybrids with the Panamera S E-Hybrid. 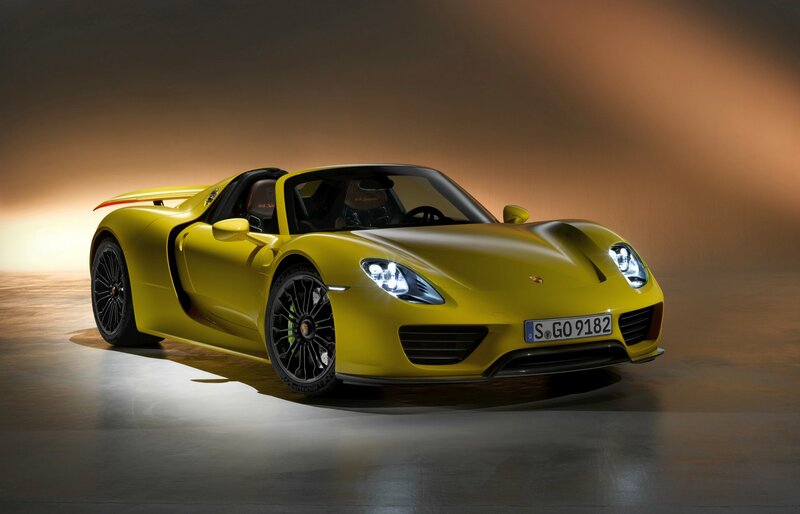 Now Porsche is expanding this role in the super sportscar segment thanks to the 918 Spyder. 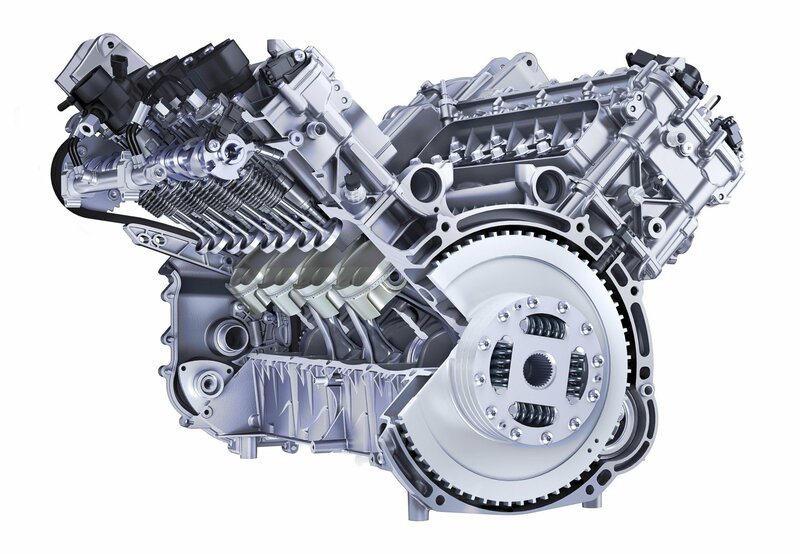 The key to this is the targeted use of the combustion engine and two electric motors while exploiting the specific benefits offered by each power unit. Drivers can choose from five driving modes that allow optimum control of the single or mixed drive through the 4.6-litre, eight-cylinder engine delivering 608 hp (447 kW) and the two electric motors with a combined 286 hp (210 kW). The vehicle's range extends from pure electric driving over a distance of 30 kilometres and more, through to the uncompromising configuration for the race track. The 918 Spyder fulfils its claim of being capable of setting records for top racing drivers, while at the same time being an uncomplicated sportscar for day-to-day use. 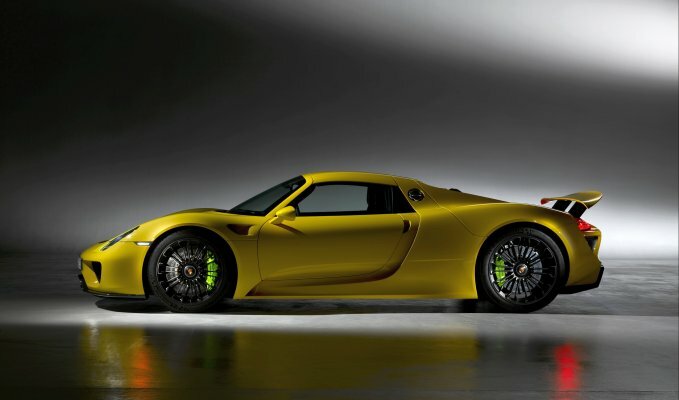 The dynamic performance of the 918 is possible courtesy of the unique all-wheel drive concept with a combined combustion engine and electric motor drive system on the rear axle and a second electric motor on the front axle. This concept is based on Porsche's motorsport development work for the successful 911 GT3 R hybrid. The additional, individually controllable front-wheel drive enables new driving strategies to be used for extremely high yet safe speeds through bends in particular. What's more, the advanced Boost strategy provides an intelligent means of managing the energy of the electric drive. 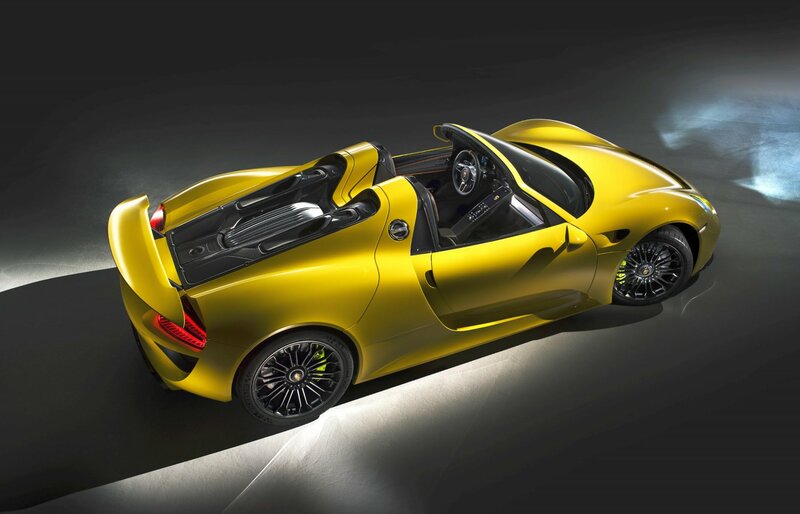 The strategy ensures that all it takes for the unrestricted total power of the 918 Spyder to be harnessed is by fully depressing the accelerator pedal, to have maximum acceleration at every burst of speed. Porsche's future generations of sportscar will benefit from the pioneering achievements in this technology benchmark. 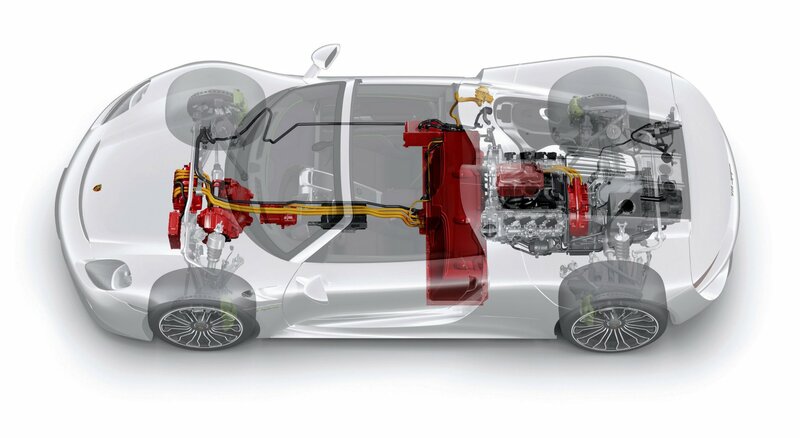 The 918 Spyder embodies the traditional Porsche virtue, while providing impressive evidence of the potential provided by plug-in technology for maximum coverage between performance and efficiency. 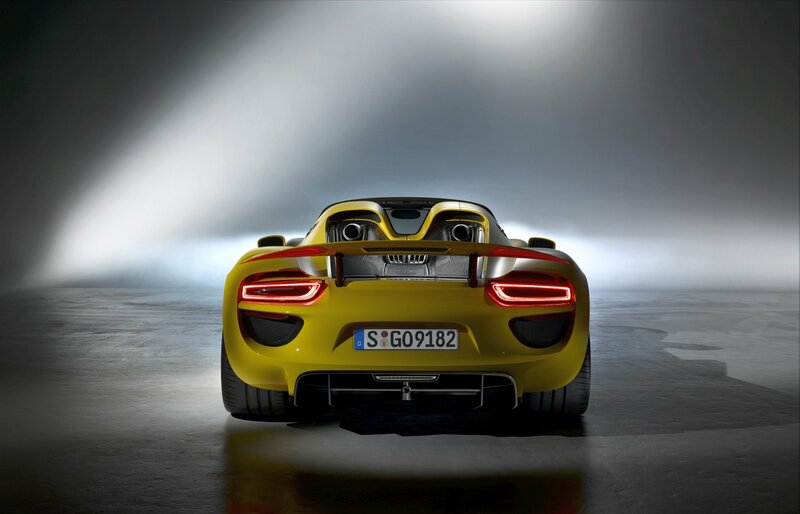 In short, the 918 Spyder contains the genetic blueprint for the Porsche sportscar of the future. The 918 Spyder has been developed fully consistently and from the ground up as a performance hybrid with plug-in technology. In summer 2010, the Advisory Board of Dr. Ing. 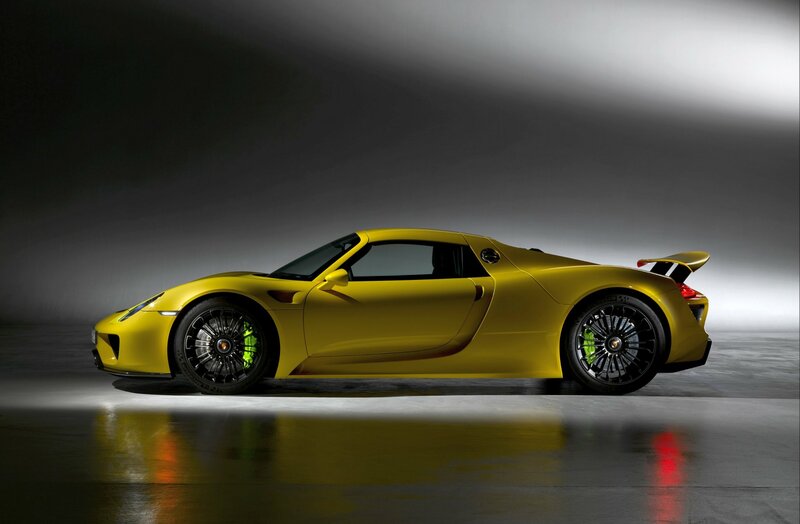 h.c. F. Porsche AG gave the green light for the sportscar's series development. The concept study of the hybrid super sportscar – which combines the performance of a high-performance sportscar of over 600 hp with the low-emission three-litre consumption of a compact car – made its début at the Geneva Motor Show in 2010. After just three years in development, the 918 Spyder is now continuing the series of super sportscars in Porsche's history. 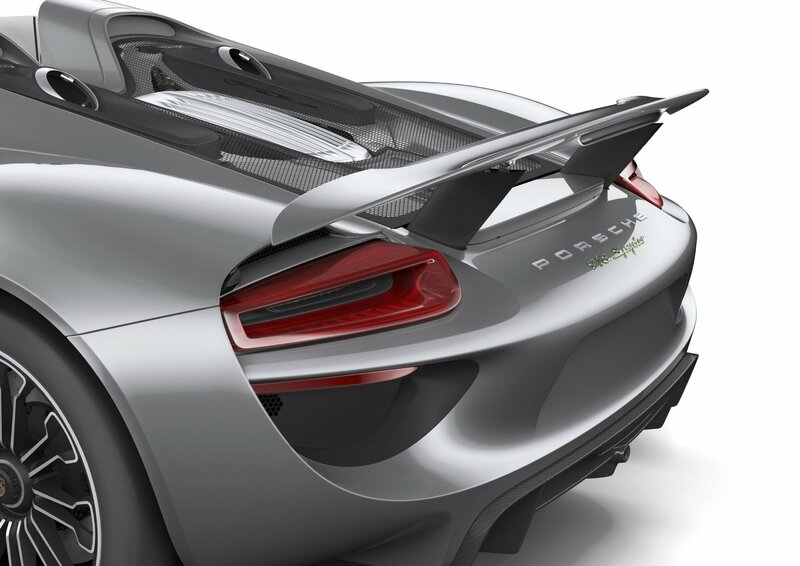 Following the ultimate sportscars of their decade – the 550 Spyder, the Carrera GTS, the first Porsche 911 Turbo, the 959, the 911 GT1 and the Carrera GT – the 918 Spyder is providing new and key momentum for developing future vehicle concepts.